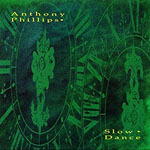 Share the post "Album review: ANTHONY PHILLIPS – Slow Dance (Deluxe reissue)"
‘Slow Dance’ might be regarded as Ant Phillips’ ‘Tubular Bells’, coincidentally released by Virgin Records although nearly 20 years after the Oldfield opus. Signed to Virgin in early 1990, the label also resurrected a raft of Phillip’s earlier releases although without the bonus tracks that would fill the subsequent Voiceprint and Esoteric reissues. ‘Slow Dance’ was originally conceived as a more commercial piece, perhaps for film or TV, but after completion the American label who commissioned it – Passport Records – went bust. Phillips struggled on and with the help of co-producer Simon Heyworth (a further ‘Tubular Bells’ link as he had co-produced that album) added orchestral parts. The original two part work showcases the more sophisticated synthesizer sounds and sequencing that Phillips could achieve in the late 1980s. This wholly instrumental music, like much of Phillips’ work, is at once romantic, reflective, pastoral, uplifting and very English. If Vaughan Williams had used synths it may well have turned out like ‘Slow Dance’. On Part 2 the ‘Slow Dance’ theme is reprised, whilst the coda is as sumptuously romantic as the “Shenmue” theme which was also a product of this decade and at a time when the ‘New Age’ genre achieved more popularity amongst music buyers. Continuing their definitive reissue campaign of Phillips’ work, Esoteric have now added a new 5.1 surround and stereo mix along with a bonus disc of re-edits and outtakes. Whilst there’s nothing here that detracts from, or particularly enhances, the original work, these additional recordings do offer ‘Slow Dance’ in more bite-size chunks. 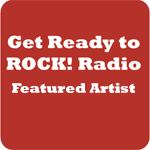 This entry was posted in ALBUM REVIEWS, ALBUM REVIEWS (Mobile), All Posts, Reissues and tagged 5.1 surround mix, acoustic, album, Anthony Phillips, expanded, Genesis, instrumental, interview, reissue, review, rock, Slow Dance. Bookmark the permalink.